A Group 3 Class 1 Stakes race over 5f on good going. Eight two-year-olds take part: seven colts and one filly. All juveniles have multiple race experience, winners bar one colt trained by Peter Chapple-Hyam. A fascinating race featuring some of the best juvenile sprinters. Beacon has shone brightly since losing on debut when strongly fancied. 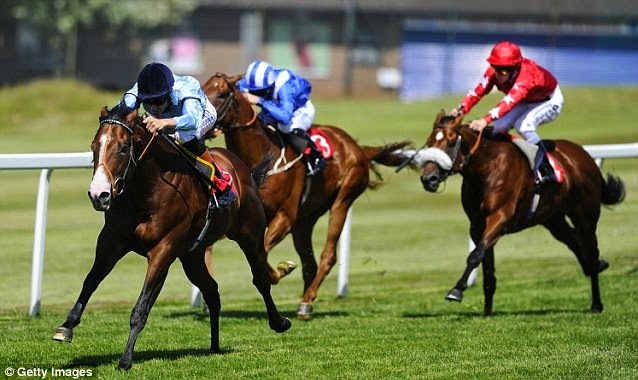 It is interesting to consider that Richard Hughes [jockey] said this son of Paco Boy was better than another of their stars Kool Kompany who has won five of his six races, twice at Group 2. In fairness, Beacon has something to prove to match that talent but this January foal has caught the eye with a progressive profile, seemingly taking a major step forward last start when winning the Dragon Stakes Listed Race at Sandown over the minimum trip. This bay colt was a great yearling buy at £52,000 and a supreme acquisition for the familiar racing silks of Highclere Thoroughbred Racing (Albany). This good-looking juvenile won well last start and was favoured by Hughes' hold-up tactics. In some respects the Sandown race fell a part with Mukhmal & Snap Shot setting the pace. That approach has proven the downfall of the former when giving what could only be described as a ridiculous ride in the Norfolk Stakes Group 2 at Royal Ascot. If this turns into a tactical affair, Mark Johnston's juvenile may prove a tougher nut to crack if ridden with more restraint. However, you can guarantee Hughes will sit off the pace and play a waiting game with Beacon, to pounce in the final furlong. Cotai Glory looked a difficult horse horse to control on his first three starts and moody when winning at Bath in the hands of George Baker. I had fears this son of Exceed And Excell would spit the dummy out when racing at Listed class, stepping up to 6f. In truth, he ran well and showed a professional attitude. Although beaten in fair style by Limato, time may tell that unbeaten horse trained by Henry Candy is smart. Dropped back to the minimum trip there will be no fears about him getting the distance but whether these fractions will have this chestnut colt slightly struggling for pace only time will tell. Dougal hails from the Hannon stable, which always impress at Goodwood. This son of Zebedee was outclassed when a 25/1 shot when well behind the stable's star turn Ivawood. There may be strength in numbers but more is needed today. Fast Act is a winner trained by Kevin Ryan and ridden by Jamie Spencer. A fair juvenile but may need the favourites to disappoint to prove victorious. Union Rose seemingly ran a superb race when second in the Windsor Castle Listed Race at Royal Ascot but looking flattered when beaten with ease by Beacon at Sandown. He needs an excuse and a return to those dizzy heights, which doesn't seem likely. Spirit Of Xian is the only filly in the field, one of three runners for Richard Hannon. The blinkers are applied in hope of finding improvement which is needs against the boys. Burning The Clocks doesn't look good enough. Summary: Beacon looks the logical horse after beating Mukhmal last start at Sandown. However, it would be interesting if Hanagan could play a more tactical role and restraint rather than blast off too fast on Mark Johnston's two-year-old. He hasn't had a chance to show his true ability on these last two starts. Beacon will make a late charge and could well be a class act. Hughes rides this horse and track well and the one to beat. Cotai Glory has ability but whether this drop in distance will suit is a matter of opinion. Although well behaved last time out he could boil over if his temperament shows and one to watch until the off for those who fancy a bet. Beacon should take all the beating.